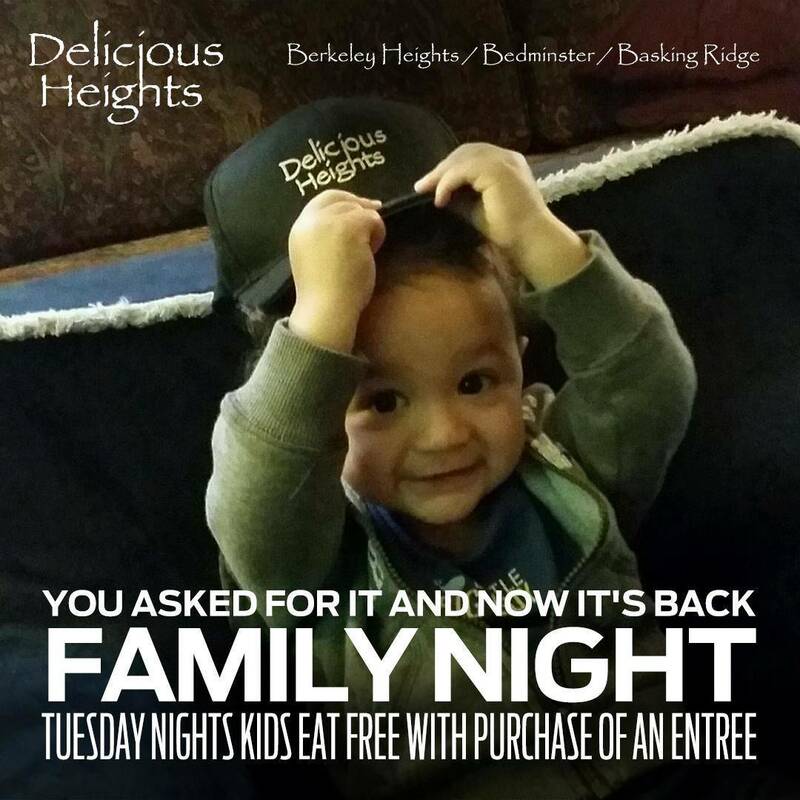 Delicious Heights, a family restaurant with three locations; Berkeley Heights, Bedminster and Basking Ridge, where it is part of the Basking Ridge County Club operating a public restaurant with outdoor dining, and acting as the banquet caterer, boasting a facility with panoramic views of the sprawling golf course. 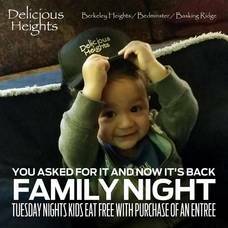 Visit our website, www.deliciousheights.com for weekly specials including Happy Hour specials from 3-6pm and daily featured dinner and lunch specials. Delicious Heights....where our only limitations are yours! 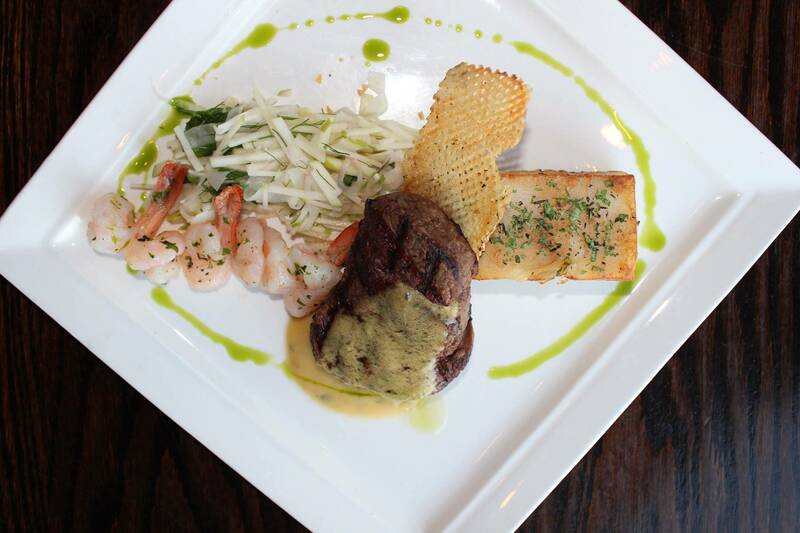 Delicious Heights is located at 428 Springfield Avenue in Berkeley Heights. 908.464.3287; 285 Main Street in Bedminster. 908.234.1596; 185 Madisonville Road in Basking Ridge. 908.766.9499.